The Southern Oregon women’s basketball team got off to a scorching start to Cascade Conference play this weekend; defeating Corban University 112-66 on Saturday and Northwest Christian University 88-70 on Sunday. Saturday’s affair was all SOU, with six players scoring in double figures. They also knocked down a program record 15 three-pointers, led by six from Ashley Claussen. She finished with 28 points. 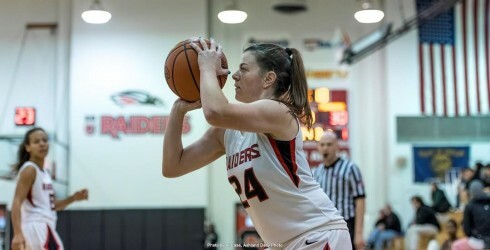 A major reason for the abundance of outside shots is the return pre-season CCC player of the year Carly Meister; who totaled 22 points and 11 rebounds in her second game of the season. Autumn Durand also knocked down three triples of her own, and finished with 13 points. And that hot shooting continued on Sunday afternoon at Ashland High, despite a stronger fight from NCU. Claussen hit another five threes in the first half, but the Beacons made six of their own to keep pace. 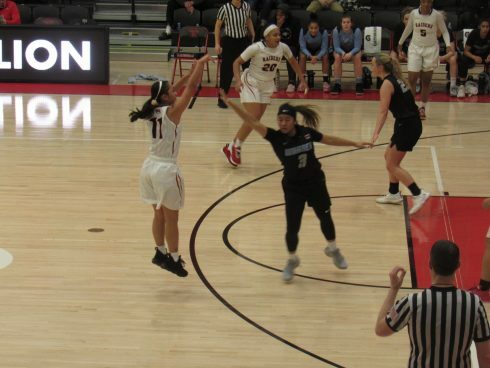 The Raider lead was just seven going into the half, and NCU kept it close in the third quarter, until Autumn Durand took over. 18 of her season-high 28 points came in the second half and she hit four three pointers of her own. The Raiders extended their lead in the fourth quarter to secure an 8-0 start to the season. 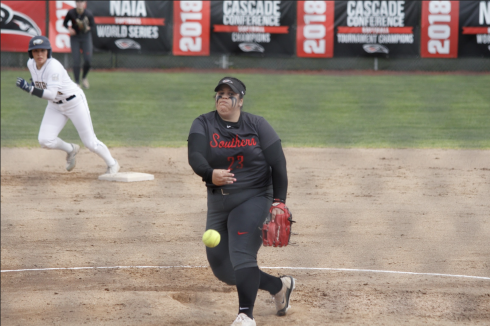 The turnover battle proved to be the difference for SOU. After shooting 6-9 from three in the first half, NCU shot just 2-6 in the second frame. They committed 13 turnovers in both halves, and as Carlson attributed, these miscues may have killed their legs trying to chase down the Raiders’ fast-break. SOU look to equal the best start in school history next Sunday at Pacific Union College.